Girls and boys love our parties! Parties can be customized or you can select from our most popular themes. 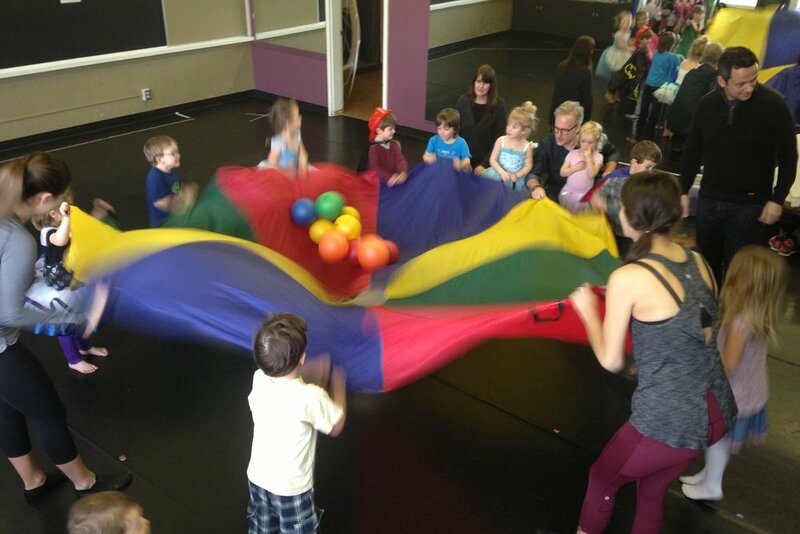 This party is filled with action and birthday songs, fun movement, as well as use of our props (wands, magic scarves, musical instruments, parachute and costumes)! Creative Dance Parties are fun and have proven to be the most sought after. This party is filled with up beat Hip Hop and dance music. Dancers will be led through a warm-up, cross-floor combinations and they'll learn a combination (dance) they can perform for you at the end. Hip Hop Parties are a big hit! This party is filled with popular music. Dancers will be led through a warm-up, cross-floor combinations and they'll learn a combination (dance) they can perform for you at the end. This type of party is a big hit with the 7-12 year olds! (This party is best for those who want a class with more traditional Jazz technique). We do not have a party room, however we do have a small kitchen; it has a fridge, tables (that comfortably fit 12 children), chairs, a sink and microwave. Access: kitchen may be accessed 15 minutes prior to the start of using the space. For instance, if your dance class starts at 2:00 p.m, your kitchen rental would start at 3:00 p.m, and access to the kitchen would be available at 2:45 p.m. Special arrangements for earlier kitchen access are are available upon request, and are dependent on earlier party bookings.